The following are the steps our basement waterproofing contractors take when installing a sump pump system in your home. 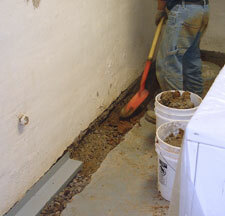 Basement Systems Edmonton's professional basement waterproofers can install a sump pump system in an average basement in one, sometimes two days. For a FREE sump pump installation estimate in Alberta including the areas of Grande Prairie, Sherwood Park, St. Albert, Leduc, Camrose, Grande Prairie, Spruce Grove, Fort Saskatchewan, Wetaskiwin, Lloydminster, Nisku, Cold Lake, Stony Plain, Lacombe, Bonnyville, Westlock, Hinton, and nearby, call or e-mail us today! 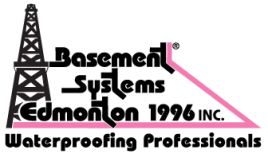 The drains installed by Basement Systems Edmonton include a wall flange that extends up the basement wall to collect water that may leak from the walls. If your home has concrete block walls, holes can be drilled in the blocks to drain trapped water into your perimeter drain. A few days after the installation is complete, the entire system is flood-tested to ensure that your waterproofing system is working properly. 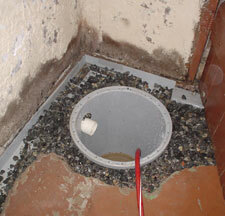 Dust is sprayed off the floor with a hose, and the discharge line outside is inspected to ensure that the water is being discharged to an appropriate location. 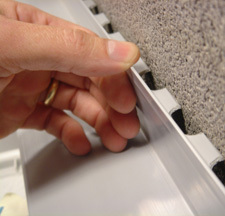 To allow for future testing, Basement Systems Edmonton installs several "ports" in the perimeter drain where a hose or dehumidifier drainage line can be inserted. 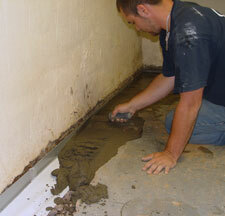 During annual checkups and sump pump maintenance, this allows for additional flood testing. 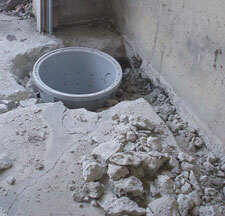 To complete the sump pump installation, the concrete is cemented over, covering the drain over for a clean, attractive look. Unlike some other waterproofing systems, we do not leave a gap in the floor's perimeter that can collect dust, debris, and other particles that could clog your waterproofing system. Be sure to ask us about our battery backup sump pumps as well as our energy efficient dehumidifiers, waterproof basement flooring, and downspout extensions, and solutions for common home plumbing failures. When you decide to waterproof the basement and install a sump pump in your home, Basement Systems Edmonton is ready to help you. 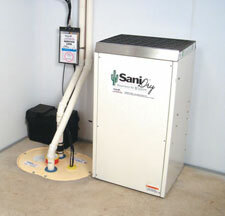 They offer free, no-obligation visits and written sump pump installation quotes to all homeowners. Their contractors work throughout Alberta, including the areas of Vermillion, Grand Centre, Wainwright, Conklin, Edgerton, Rosevear, Bonnyville, Edson, Elk Point, Kitscoty, St. Paul, and Cold Lake. Call or contact them online today to get started!